It's high time for some tea! 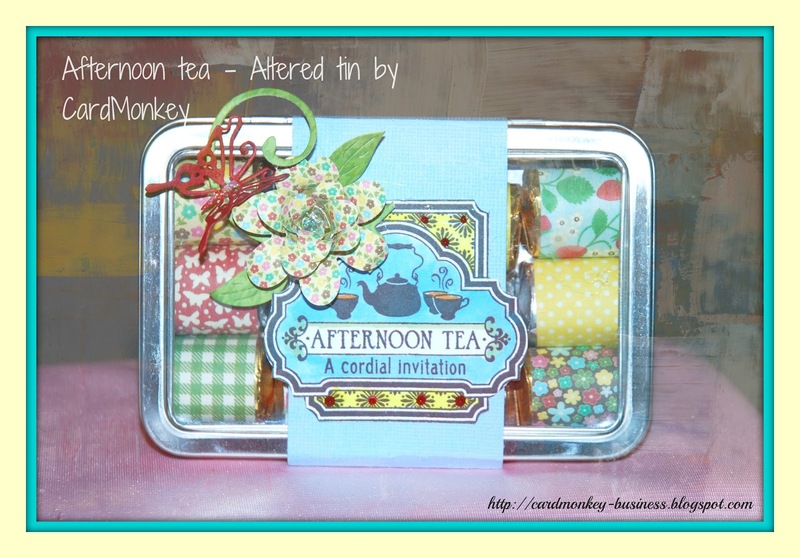 Today and tomorrow, I am going to be showing you some handcrafted gifts I plan to bring to Sunday's High Tea at the home of my friend, Barbara. Barbara was once my boss (1989-1995) and our department head. As testament to the cohesive type of public relations/marketing department we had at The Bryn Mawr Hospital (Bryn Mawr, PA) all of the women who once worked in the department remain friends, and see each other at least quarterly, even though most of us (including myself) have moved on or retired. This weekend, Marge (our former Admin Assistant) is traveling in from the Boston area, where she retired. 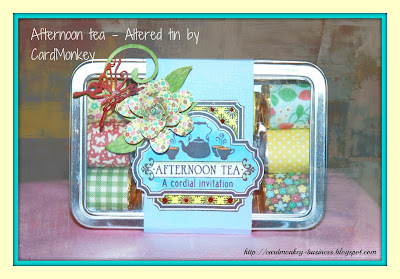 There are plenty of leftover pieces of paper once you're done making the eight cards in the kit, and you can get more ideas by checking out the Jillibean blog at http://jillibeansoup.typepad.com/thecardkitchen/blog_index.html. This month's guest designer was Nichol Magouirk, one of my favorite card designers. 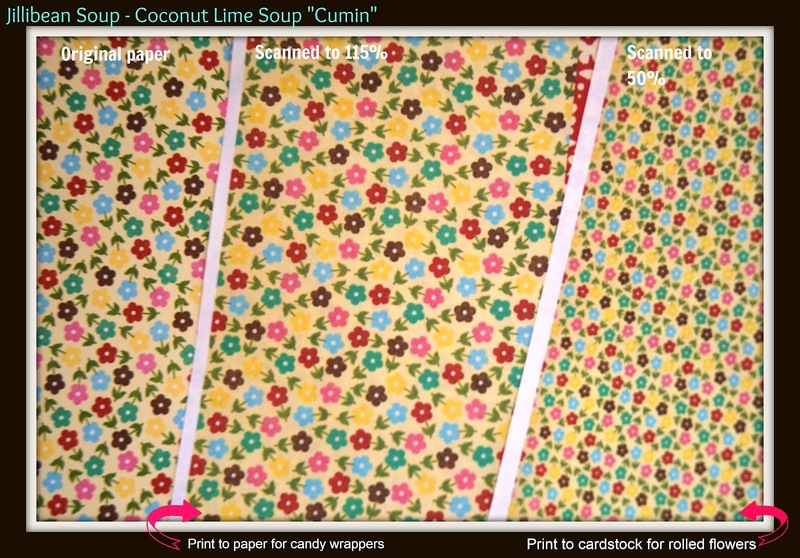 I decided to stretch my creativity a bit further away from cards with the inspiration from the Coconut Lime Soup papers. I took some small (3.75" x 5") bits of leftover card stock and scanned it into my computer. I played with the size of the paper images a bit, reducing them and printing on regular paper to make adorable labels for Hershey's nuggets. 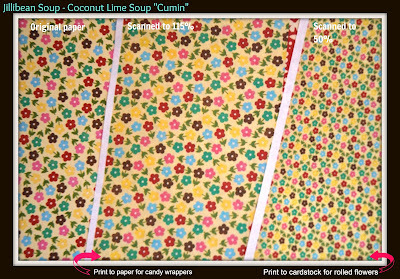 Then I scanned and reduced the pretty "Cumin" paper in that line (the yellow with the cute multicolored flowers) and printed it on cardstock to cut the rolled flower die (from Cheery Lynn Designs). This method works best to make the rolled flowers, I've found, since the white backing to the 2-sided papers is a bit more versatile. (Hint: I've also printed solid green on the backs of papers that I'm planning on making into flowers, or more of the floral pattern). I added a small piece of the "Fancy Flourish" Cheery Lynn Design die for the leaves, and another Cheery Lynn Design die for the complimenting burgundy butterfly. The belly band is just light blue Bazzill stock. The stamp is from Waltzingmouse, colored with Copics and Stickled. The tin, by the way, is from Papertrey Ink (PTI).